You go to an insurance agent to buy insurance, an accountant for tax preparation, and an attorney for estate planning. Sound familiar? They all give you great advice, in their area of expertise. You may have several pieces of your financial plan in place – you pay taxes, invest some of your savings, have some insurance, and maybe have a will. Now you need to ensure that everything is working together for your benefit. 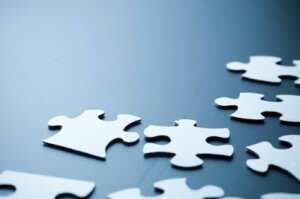 Wouldn’t it help to have an unbiased financial planner make sure these pieces are meeting your current and future needs? To be effective, personal financial planning needs to be coordinated. Each piece of the plan needs to accomplish its own specific task as well as support the tasks of each other piece. All the pieces must be working together toward the same end – your family’s goals. There may be one or many areas of your finances that need attention, but when a holistic financial planner looks at your financial life as an interconnected system what becomes clear is the one change – the one action – that needs to be made first and that makes the entire system function better. When you consistently focus on the most important thing to do now you can be confident that you are moving in the right direction. Would you have more peace of mind if you knew the most important things for your future were taken care of?